Yesterday was officially the first day of spring - the time when lots of us decide to dust off the winter cobwebs and spruce up our homes for the new season with a bit of spring cleaning. While obvious jobs like washing the windows are often at the top of our "to do" lists, our plumbing systems, which we often take for granted, tend to get forgotten. However, when it comes to seasonal maintenance, a few simple checks could save you time and money over the warmer days to come. 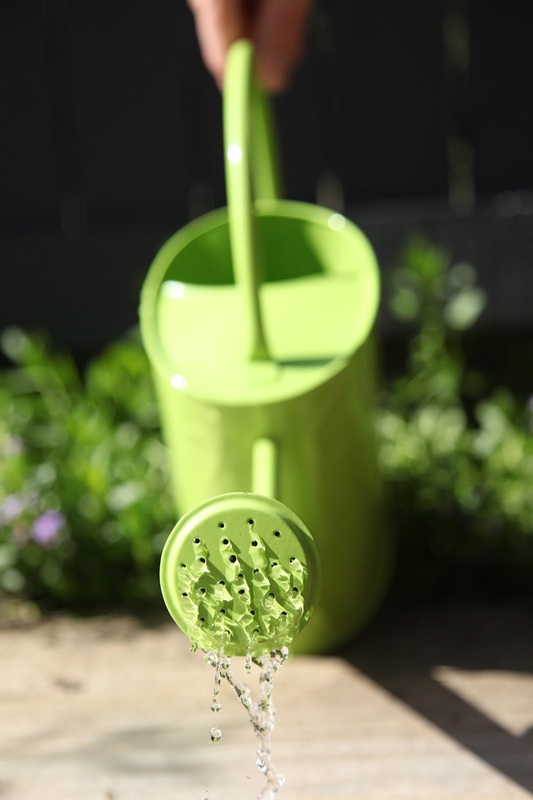 We've compiled our top 5 spring plumbing tips to help ensure your waterworks remain in good condition over the spring and summer months. A great tip for locating leaks in toilets is to add a few drops of food colouring to the cistern. Leave it for 20-30 minutes before checking the colour of the water in the toilet bowl. If the colour in the bowl is the same as the colour in the cistern then there are probably no issues, however, if it's a different colour then there may be something wrong with one of the mechanisms in the tank. It's also important to know that the valves supplying water to your toilets and sinks can also become clogged with rust and mineral deposits over time, reducing your pipework's efficiency. If it becomes difficult to turn valves on and off then they may not be working properly. Sump pumps are an important element of your plumbing system, guarding your home against flooding in the rainy spring months. Be sure to conduct regular checks to ensure it's working by simply turning it on and plugging it in to see if it runs. Alternatively, turning water into the sump pit should trigger the pump to activate, turn on automatically, discharge water, then shut off. For extra protection, it may also be worth installing a flood alarm in your basement and bathrooms. Be sure to check water supply hoses to kitchen appliances such as your ice maker, washing machine and dishwasher for any signs of leakage or bulging. Supply hoses that are 10 years or older are at greater risk of bursting, so it's a good idea to replace these with a durable stainless steel option. Another tip is to check and clean the lint trap of your washing machine, as lint can clog up the drain, resulting in a blockage. 5. Don't forget your outdoor plumbing! Once you've ensured that all your indoor pipework is in good working order, it's time to turn your attention to your garden drains, gutters and downpipes! Make sure that build ups of debris that can block drains such as leaves are cleared away and that there aren't any feathered friends nesting in your vent pipes! 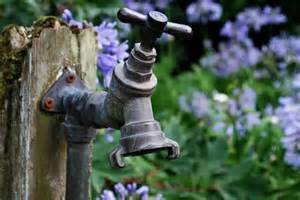 It's also a good idea to check all of your taps and hose bibs to ensure water can flow freely and that turning on a tap outdoors isn't causing a leak inside. If so, it could be an indication of a cracked pipe from a winter freeze and will need to be replaced. Trying to replace or repair elements in your toilets or sinks yourself may cause even more problems, so be sure to always get a Quality Plumber out for the job. You can find one in your local area in no time by searching at http://www.aphc.co.uk/find_an_installer.asp. Professional installers will also be happy to give your indoor and outdoor plumbing systems a thorough spring check, ensuring your complete peace-of-mind over the milder months to come. With the Easter holidays almost upon us again, most of us will be hoping for some warm weather to get started on the season's gardening or out and about with the family. Whatever your plans, two of the UK's leading water associations, Waterwise and WaterSafe are urging us to make simple changes to reduce our water consumption as part of Water Saving Week. While we're all aware of the importance of saving water during a summer heatwave, the campaign, which runs from 21-25 March 2016 is aiming to raise awareness of the need for everyone to use water wisely whatever the weather and wherever the location to protect the future of this precious resource. Our ever-growing population, changing lifestyles and the increasing erratic weather patterns are all putting more pressure on the UK's water supply, meaning that now more than ever before it's important to take steps to reduce our water usage. With approximately 93% of overall water usage occurring within domestic properties, it makes sense that the front-line against water wastage should begin in our very own homes. What's more, for those of us on water meters and paying for the amount of water we use, taking care when using water makes great financial sense too, saving us money on our water and energy bills. So why not begin following our top tips to see how much you could save simply by making efforts to save water? Turning off the tap while brushing your teeth - Can save over 6 litres of water per minute! It's the most quoted water-saving tip for a reason! Purchase a water efficient toilet - These have split flush buttons which give the user a choice of how much water to use. They typically use about 4-6 litres of water as opposed to the 13 litres per flush used by an old style toilet. Get a cistern displacement device (CDD) - Once placed in the cistern, these displace around 1 litre of water every time you flush. As well as being easy to install, CDDs are available FREE from most water companies and could save up to 5000 litres of water per year! Spend less time in the shower - With 85% of UK homes containing a shower, a joint effort to be more water efficient when using them could have a huge impact on our country's water wastage. For example, if we all made an effort to time our showers we'd save enough water to supply 1 million homes every day! Switch your showerhead - Changing to an aerated or low flow showerhead will allow you to reduce the flow of your shower whilst maintaining pressure, helping to reduce the amount of water you use overall. Run shallower baths - We all know that showers (with the exception of power showers) use less water than baths, but if you have to have a soak, running your bath just an inch shorter than usual could save around 5 litres of water. Leftover bathwater can be recycled too, to water your houseplants or garden. Load the dishwasher fully every time - This is particularly important considering the kitchen tap and dishwasher account for around 8-14% of water used in the home. Your eco/economy settings can also help you to save money on your water and energy bills. Avoid pre-rinsing dishes - Dishwasher detergent is very effective, so as long as you take care to scrape plates thoroughly before loading they should come out perfectly clean without the need to pre-rinse them. Buy a washing up bowl or plug - This can reduce wastage by 50%. Why not use the water collected to wash your carrots and spuds in? Add a tap aerator - Like water efficient showerheads, these can help you to save water by reducing the water flow. Choose a Waterwise washing machine - Look for the Waterwise ranking when choosing a machine - those using less than 7.5 litres per kg are good models to go for. Be sure to read the manual to find out which cycles are the most water efficient. Plumbers belonging to the WaterSafe scheme will also be able to offer you simple tips on how to be more water efficient around your home. Click on the link to find quality WaterSafe plumber in your local area. Asbestos has been banned in UK properties since 1999, so you may well think you're safe from this mineral's well-known health risks. However, as homes built before this date - an estimated half a million in the UK- may still contain asbestos, it's important to be aware of how to live alongside and dispose of this substance safely without putting yourself or others in danger. Asbestos refers to a group of fibrous minerals that have been valued for thousands of years on account of their many useful physical properties. The insulating quality, strength, flexibility and durability of asbestos even caused some ancient people to believe it possessed magical properties. While naturally occuring deposits of asbestos are extremely common, only a few types are suitable for commercial use. Large-scale commercial mining and manufacturing of the substance, mainly for use in the construction industry, began during the second half of the Victorian era. When disturbed or damaged, materials containing asbestos can release fibres into the air. 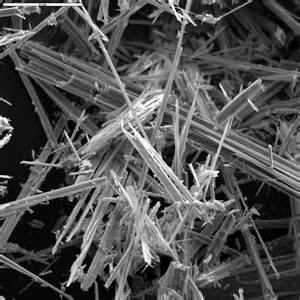 If inhaled, these asbestos fibres can trigger serious or even fatal lung diseases such as lung cancer and mesothelioma. The second half of the twentieth century saw the introduction of the first regulations around the use of asbestos as more became known about the significant health implications associated with breathing in its fibres. In 1970, strict laws were implemented to regulate the use of asbestos in the workplace but the import, use and supply of brown (amosite) and blue (crocidolite) asbestos was not banned until 1985 in the UK. White asbestos (crysotile) was banned in 1999 except for a small number of specialist uses of the material. In domestic properties, asbestos can be found in common building materials such as lagging, textured coatings, roofing felt and rope seals or gaskets. In addition, flues from boilers and ventilation ducts used to be made from asbestos, even drain pipes and bath panels. If you're concerned that your home may contain asbestos, you should first seek advice from an environmental health officer at your local authority or council. Leave asbestos-containing materials where they are, especially if they're in good condition and not at risk of getting damaged. You can ensure that you're not at risk of coming into contact with asbestos fibres by checking materials at regular intervals to ensure that they haven't been damaged or started to deteriorate. Slightly damaged asbestos-containing materials can sometimes be repaired by sealing or enclosing them, however, this should only ever be done by someone with the necessary training. Any material that is too damaged to be protected should also only be removed by someone with the correct training. Your local environmental health officer can advise about this, or to search for the best person to dispose of asbestos in your local area, visit the Gov.uk website at https://www.gov.uk/asbestos-in-home. The death rate among plumbing and heating engineers in the UK is extremely high, with around 20 tradespeople dying each week as a result of past exposure. When hiring contractors to undertake construction work on your property, help to keep them safe from asbestos exposure by being sure to inform them if your property contains this dangerous material. This will allow them to take steps to ensure that any materials containing asbestos are not disturbed. To find an Quality Plumber in your local area, search via the APHC website. Add value to your home with a new bathroom! Here in the UK we love our home improvements and are always tuning into property shows in the hope of finding new ways to add value to our homes. 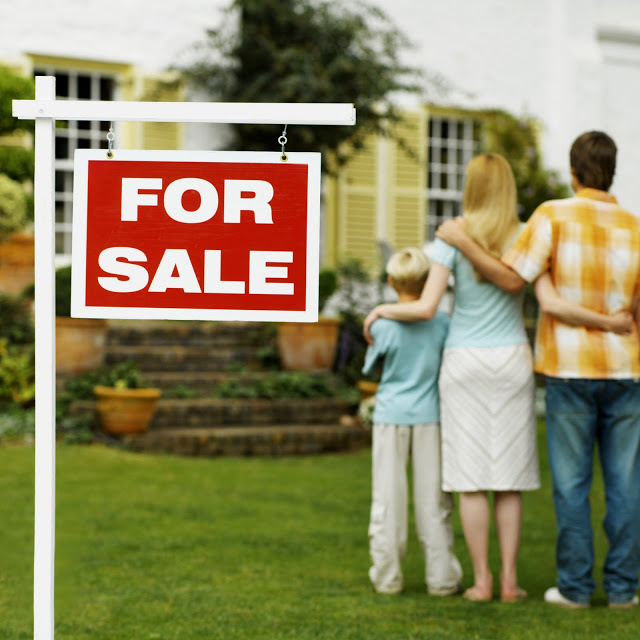 But with so many options to choose from, which changes are really worth the investment? According to a 2015 survey by Barclay's Mortgages, en-suite bathrooms (along with designer kitchens) are the most desirable improvements when it comes to renovating your home. With this in mind, we've put together a list of our top tips to help ensure that your bathroom is viewed as a real asset when the time comes to put your property on the market. While factors such as market conditions, the price of similar houses in the area and the overall condition of your home will all impact upon the value of your property, a new bathroom could increase this by up to 5%. In large properties, a good bathroom count is especially important. However, whatever the size of your home, the prospect of a bathroom requiring a lot of work is likely to be a turn-off to many buyers so it really is worth making your bathroom appealing to viewers by ensuring that it is clean, smart and well-maintained. Perhaps unsurprisingly, the research undertaken by Barclay's Mortgages identified avocado bathroom suites as one of the features most likely to put off buyers when looking around properties! Be sure to appeal to all tastes when doing out your bathroom by keeping it simple. Features such as a set of new taps (£20), a power shower (£250-750) or a glass screen (£125) instead of a shower curtain are easy to add but can make all the difference to the appearance of the room. * It's also worth considering adding more contemporary features such as wet rooms, which have grown in popularity in recent years as an alternative to traditional bathrooms and underfloor heating, which allows you to enjoy the luxury of warm floors underfoot whilst brushing your teeth in the morning! Always think about how you can maximise your bathroom's existing storage capacity - either by adding wall-mounted cabinets or with free-standing accessories such as towel-rails and trolleys if space is tight. Finally, prevent against mould growth and help improve the longevity of grouting by installing extractor fans if currently lacking. * Figures quoted are exclusive of installation.